An original, funny, and almost improbable world history. Why do people run? Four millennia ago in Mesopotamia, King Shulgi ran from Nippur to Ur to take part in a religious festival. In ancient Egypt, the pharaoh had to run to prove his vitality and to hold on to power. And then there are the little-known naked runs, whore runs, endurance tests at bars, backward runs, monk runs, and the Inca Empire’s got professional runners. 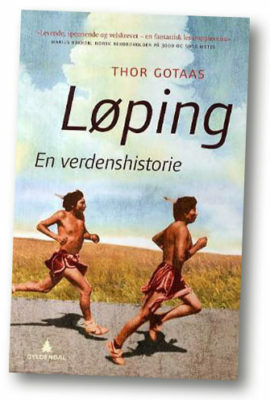 Thor Gotaas shows us what running, in all its remarkable diversity, is and has been for mankind.